Am I the only person who has one of those microwave egg poachers lurking in a drawer somewhere? I’m sure I’m not, but it’s funny that I hang onto it, because while it’s certainly quick, the eggs really aren’t very good, and it’s a #$&% to clean! 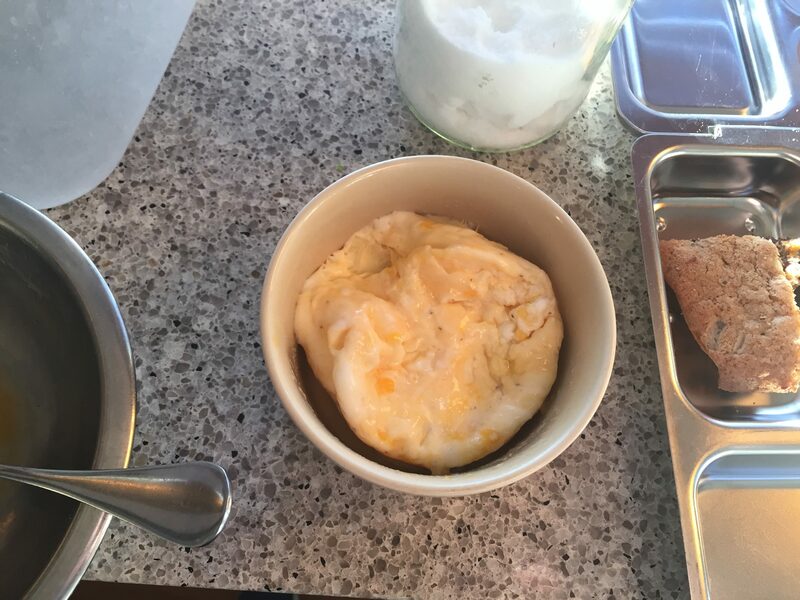 Until recently, the only microwave eggs I’d tried were those poached ones, and occasionally soft scrambled ones that aren’t bad, but involved taking them out to whisk every 30 seconds for three or four minutes. So you might be wondering, why bother with the microwave, rather than, you know, boiling or poaching or scrambling? 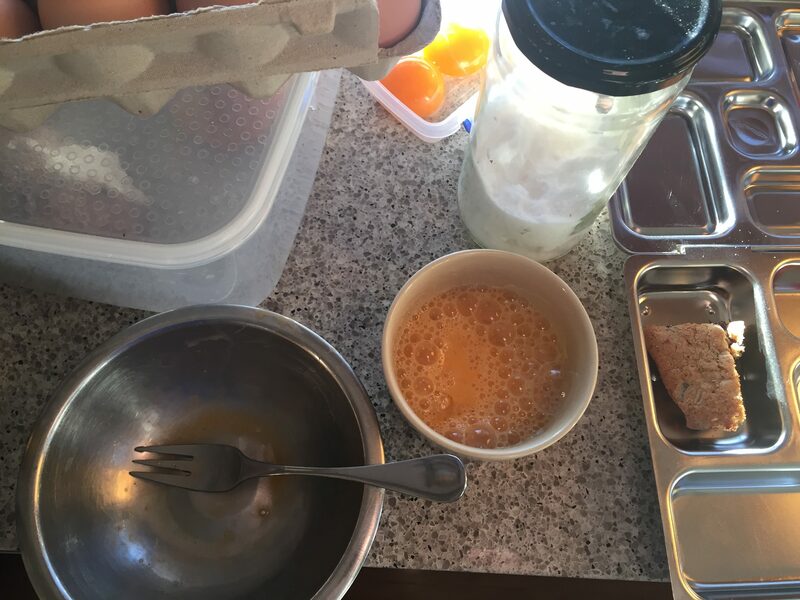 Well, like many others, my kids are always interested in lunch options other than sandwiches, (or breakfast options other than cereal for that matter) but anything for the lunchbox or weekday breakfast needs to be either super quick or able to be made in advance. 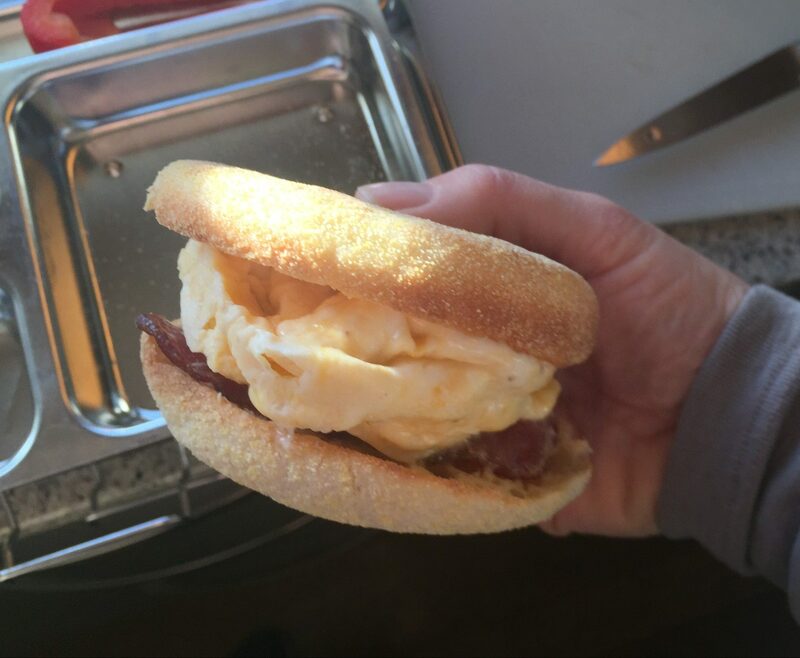 I confess, I’ve also always had a bit of a soft spot for bacon and egg McMuffins, but haven’t bought fast food breakfasts for quite a while, so a speedy home made alternative was an attractive thought too! As always with microwaves, the power level makes a huge difference, so you will have to watch carefully for the first one to check the timing for your oven. I previously had a normal 900W microwave, which took 40 seconds to cook the egg on one side, then I turned it with a fork and cooked another 10-20 seconds on the other side. I now have an 1100W inverter microwave, and it takes 30 seconds with no turning – so do check! Split the muffin and pop in the toaster. Rub a little butter around a ramekin about the same diameter as the muffin, or a little bigger (mine is 10cm (4”)). Put the bacon between two sheets of kitchen paper on a plate and cook for about 1 minute until sizzling and starting to crisp. Crack the egg into the ramekin, season with salt and pepper and whisk lightly with a fork. Top with a slice of cheese if you like. Cook the egg for 30 seconds to 1 minute, turning to cook the underside briefly if needed (see above). 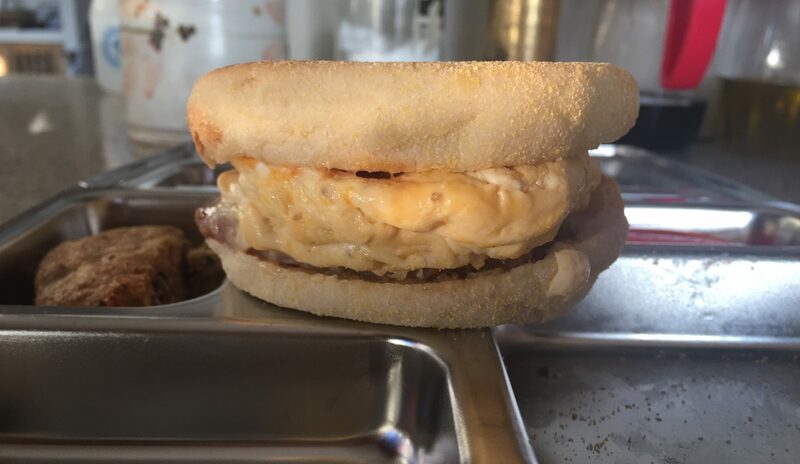 Butter the muffin if you like, then top with the egg, bacon, and preferred sauce. Wrap in paper if putting in a lunchbox. Love it. Love the way you have come up with a low cost, easy and practical solution. I might add a costing actually, I’m curious now how much they are compared to the bought alternative! I’ll be interested to hear how you go, and what timing works for you – I’ve found the variation between microwaves quite fascinating!